The stylish Stomp v2 all in one travel system by Ickle Bubba is suitable from birth to 3 years and is packed full of enhanced features and contemporary design – making it the number one choice for parents. 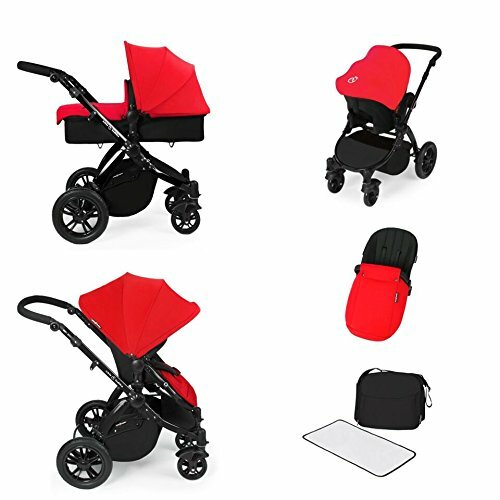 Shortlisted for the 2014 ‘Best Baby & Toddler Gear’ awards, the Stomp v2 all in one travel system comes complete with a lightweight aluminium chassis, carrycot, pushchair seat unit, car seat, car seat visor, car seat adapters, extra large shopping basket, foot warmer, changing bag, changing mat and rain cover! Only the finest materials have been used during the manufacturing process, with attention to detail going into every aspect and to back this up we offer a 2 year warranty as part of our quality commitment to you and your bubba.